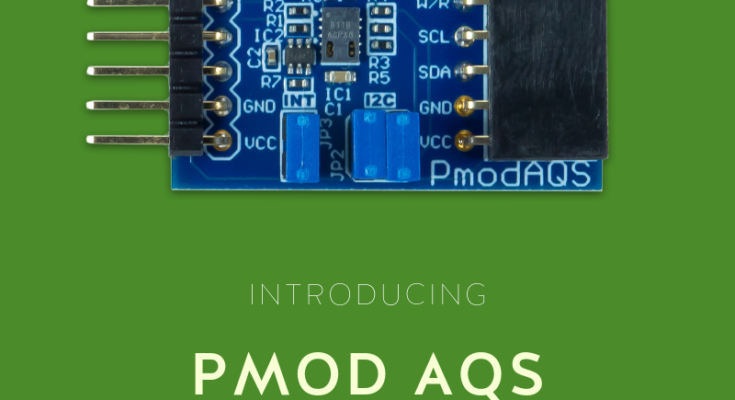 We are excited to introduce our newest Pmod- the Pmod AQS! 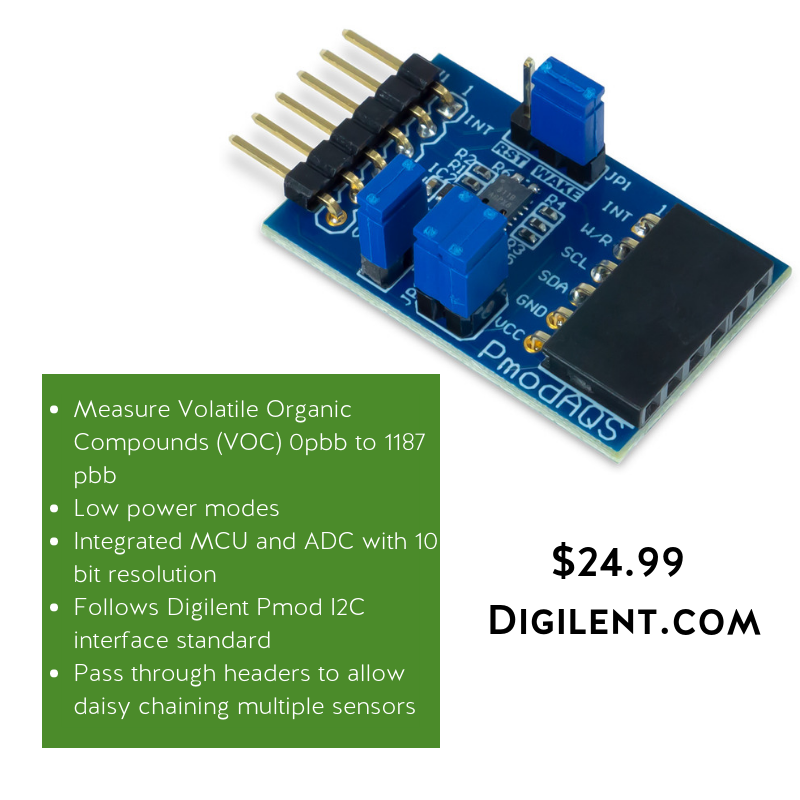 This Pmod is an easy way to add indoor air quality measurements to your FPGA or Arduino design! The Pmod AQS uses the CCS811 system on chip solution to provide readings of volatile organic compounds (VOC) in I2C data format. 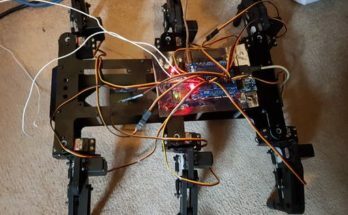 This solution involves an integrated MOX (metal oxide) sensor which is read into a 10 bit ADC where the microcontroller is able to perform calculations on the raw sensor data, drive different modes and read out results. 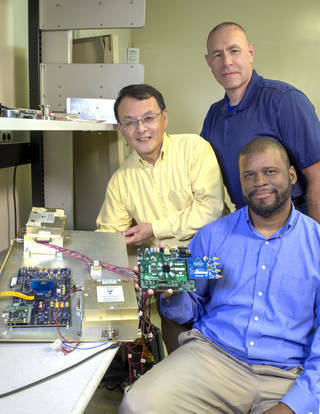 This microcontroller is relatively low-power consuming, allowing designers to preserve valuable battery life. 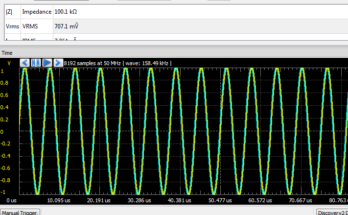 So, what exactly can you measure with a VOC sensor? Basically anything that has a potential detectable to the human nose, (“smell”), will most likely be able to be measured by the Pmod AQS. 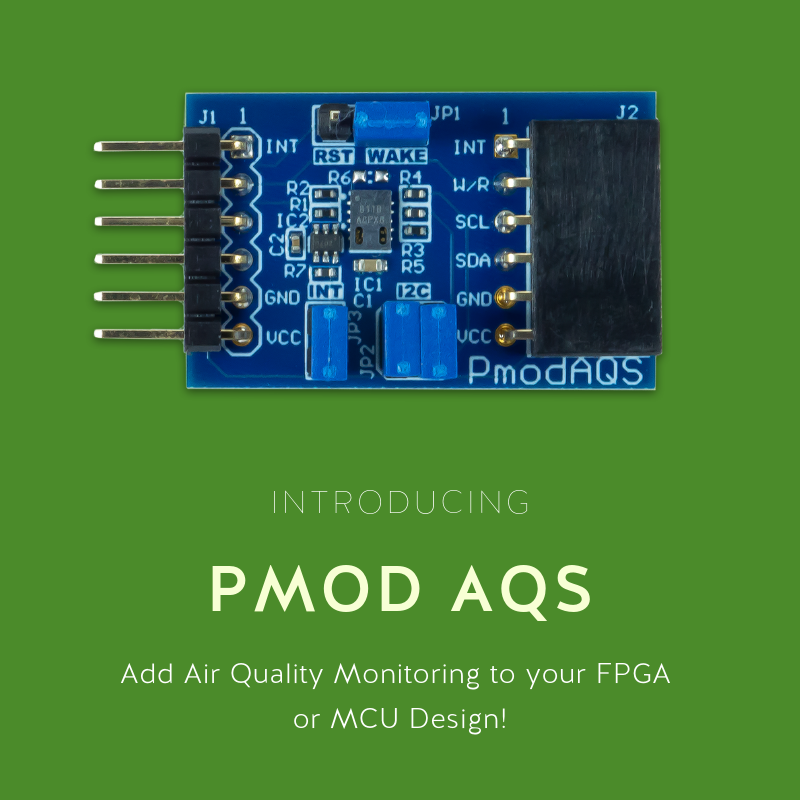 You can use the Pmod AQS to measure the overall contamination level of the air in a space for highly scientific and health related reasons… or you could create a fart detector. We know you were all thinking it. The answer is yes. Yes you can. And you should! Make sure to go check out the Pmod AQS and add it to your next order. Previous Article OpenLogger is Funded! Hey Larissa, You have done a very good job. It is absolutely new to the people. Our technology is growing more and more day-by-day. It will be definitely used to the people who build a new house. Because the air which is surrounded in the new house is contaminated by some things which you have listed in your post.